Sykes: "I want to leave here with a lot of points"
Kawasaki Racing Team’s Tom Sykes securing his first pole position of the season at Aragon with a time of 1.56.339. The Yorkshire Grinner who is fully recovered after picking up and injury at the beginning of the year, has been in the top four all weekend and produced his best lap in the closing moments of Superpole 3. Sykes, who finished 2012 half a point behind World Champion Max Biaggi, hopes to leave Aragon a strong championship contender after leaving Philip Island in fourth. Sykes’ French teammate Loris Baz had a successful Superpole, securing a second row start. Baz is beginning to build up his confidence following a 6th position at the first race of the season in Philip Island back in February. 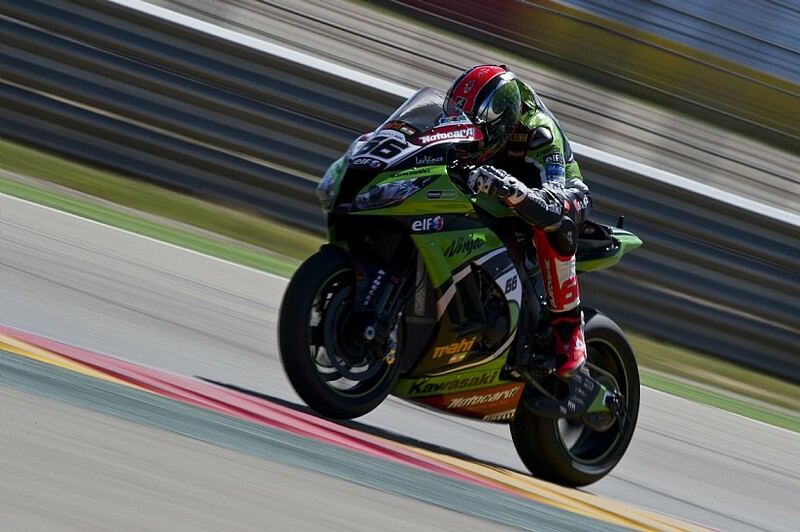 His time of 1.57.869 was only 1.530 seconds off teammate and pole man Tom Sykes. Previous Previous post: Tough Superpole for Pata Honda duo at Aragon.